Will you be hosting for the holidays? With Thanksgiving next week and Christmas next month, you can easily transition your home decor so that it’s prepared for optimal seasonal entertaining. Look to these simple and affordable holiday home decor ideas that are sure to upgrade your homes for the season! The first area to transition for the holidays is your curb appeal. Start by giving your front door a fresh coat of paint! Paint your trim and the railing on your porch to catch your guests’ eyes as they walk up to your home. Next, spruce up your holiday home decor on your porch. Dress up your door with a themed wreath or incorporate fun items like wooden reindeer figurines or potted poinsettias on your porch steps. Of course, clean up your garden beds, gutters, windows and storm doors to for your curb appeal to truly shine this season. With the holiday season also comes the winter wear and wet weather to accompany. Add a mat in your entryway area where guests can leave wet shoes and umbrellas. Including a bench or chair for your guests to comfortably remove their shoes is a plus. Then, include a coat rack for your guests to easily store their purses, coats, hats, scarves and more so that they can easily free up their hands upon arrival and join in on your party! Fine-tune your fireplace and mantel. Chances are you haven’t prepared your fireplace for the chillier winter nights. Now’s the perfect opportunity as you gear up for hosting this season. 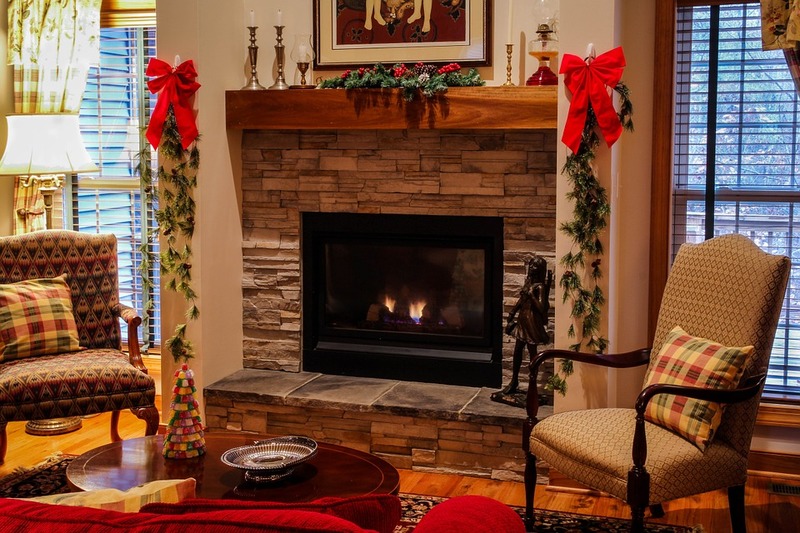 Once you hire a professional to have your fireplace swept, now’s the time to makeover your mantel for the holidays. Depending on your preferences, you can upgrade your mantel with fresh greenery, candles of varying sizes, books, lanterns, a large mirror and much more. If you’re hosting your loved ones overnight, make sure your guest room is not only tidy, but dressed with holiday home decor. Swap out the lighter summer quilts and add flannel linens and faux fur throws to start. Add some candles in seasonal scents, like pumpkin spice or pine to the nightstand. Then, you can swap out your sheer window panels for more insulated curtains.